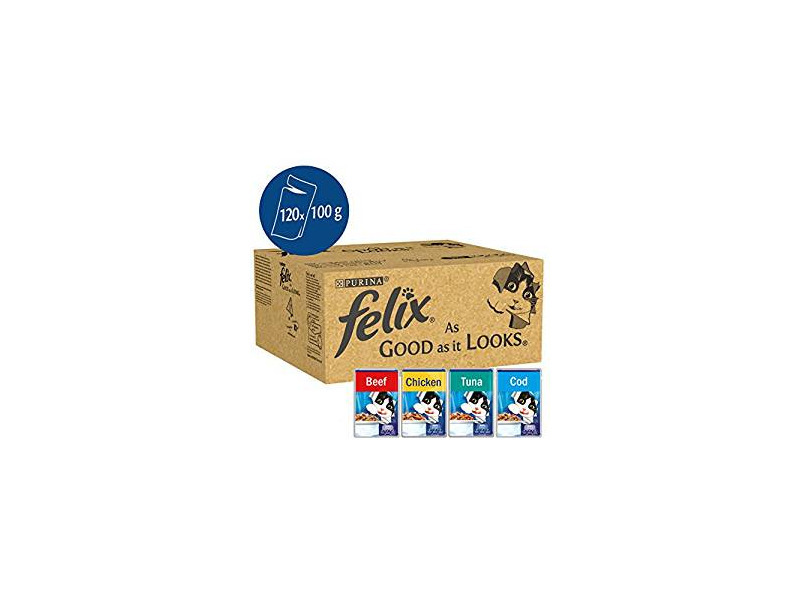 Felix As Good As It Looks Pouches Favourite Selection is a fabulous tasty selection of meaty dishes for your feline consisting of beef, tuna, chicken and salmon. This great value multi pack contains specially prepared tender meaty steaklets in jelly, and with such a great choice, your cat will find the delicious recipes totally irresistible. The pouches are also foil sealed to keep the tasty meals as fresh as possible. There are currently no questions for FELIX As Good As It Looks ADULT - be the first to ask one!